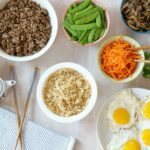 With just 15 minutes and six ingredients, these Turkey Teriyaki Bowls make the perfect dinner for hectic school nights. 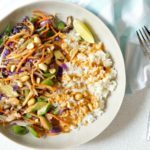 Serve this Turkey Teriyaki with rice and steamed broccoli or in lettuce cups for an even lighter meal option! “Um, can you turn your food blog into a healthy eating blog?” my husband asked the other day. Both of us are loving the food I’ve been making (in mass quantities), maybe a little too much. As a food blogger and recipe developer, I make the recipes I’m working on several times as I work out the best flavors and make sure I get the best shots of each dish. So when it’s a super decadent macaroni and cheese or an over-the-top decadent pie it can be a little damaging to the waistline. Sure, one batch is fine, but four mac ‘n cheese casseroles? Trouble. My response to my husband was probably a little curt… “Nope, not gonna do it.” I like cheese and bacon too much to do a healthy eating blog. But, I’m certainly gonna try and lighten things up a bit. With the scale, my husband and my personal trainer all on one side, it’s time I get on board. Light can still be tasty (and easy), with this 15 Minute Turkey Teriyaki Bowl recipe. 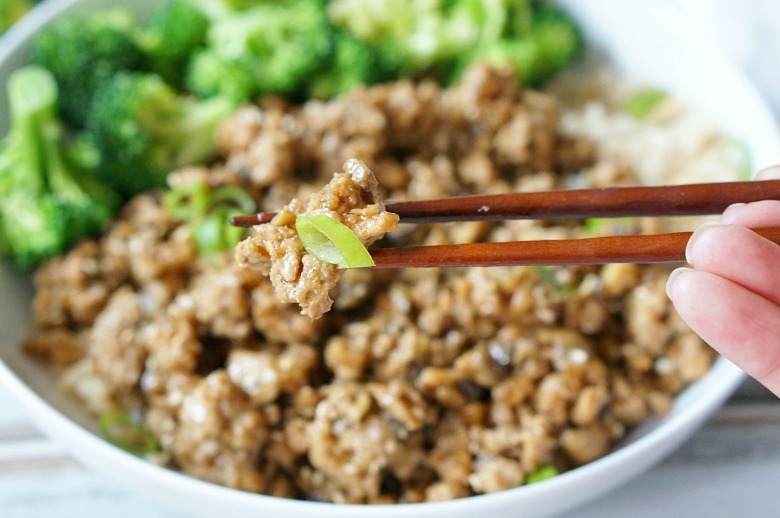 Butterball® ground turkey is great for quick weeknight dinners and is lower in fat and calories than ground beef, making it a great alternative. 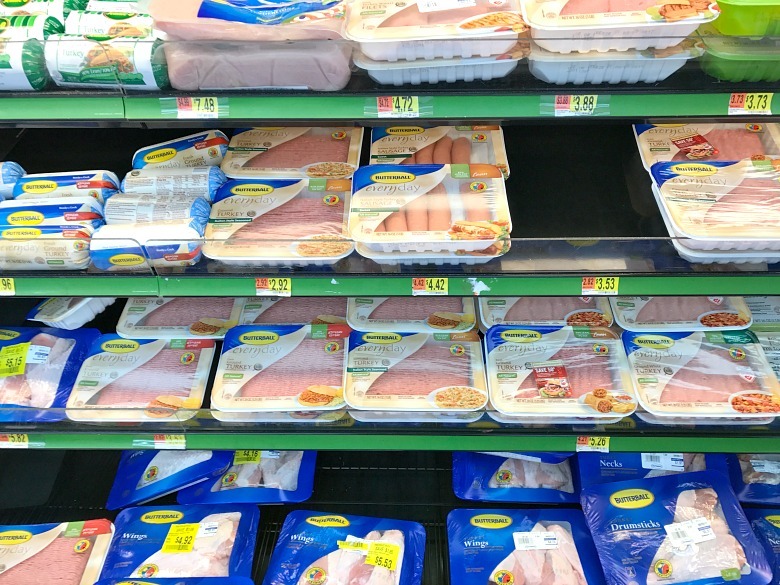 Sure turkey may be best known for the centerpiece of Thanksgiving holidays, but Butterball offers a wide range of high quality turkey products, including fresh, raw ground turkey. It’s versatile and can be used in a variety of recipes. Plus, it’s all natural with no artificial ingredients. 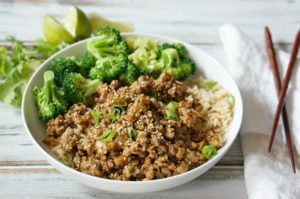 I served this dish with fresh steamed broccoli and rice, but you can make this dish low carb by serving the Turkey Teriyaki in lettuce cups. It not only makes for a lighter main dish, but could also be great as an appetizer. And with a time investment of fifteen minutes, this makes the perfect weeknight dinner. Especially during the hectic back-to-school season! Heat sesame oil in a large skillet over medium high heat. Add the mushrooms and saute until all of the liquid has been released. 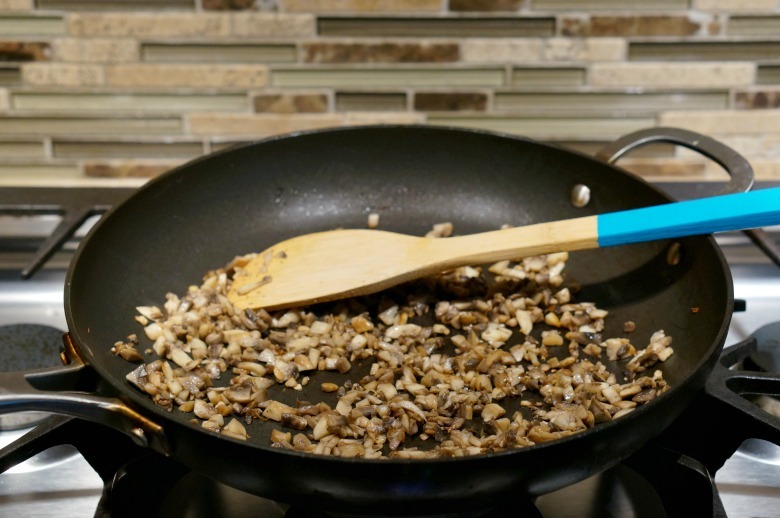 Continue cooking until the skillet is dry and the mushrooms begin to brown. 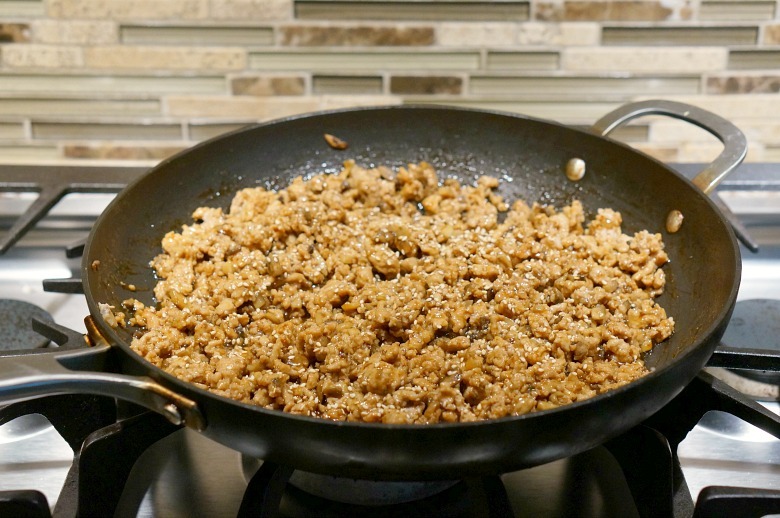 Add the Butterball ground turkey, breaking it up as you cook. When there is no pink left, pour in the teriyaki sauce. Remove from heat. Meanwhile, place the broccoli florets in a microwave-safe bowl with two tablespoons of water. Microwave on high for three minutes, then drain. The broccoli should be bright green. 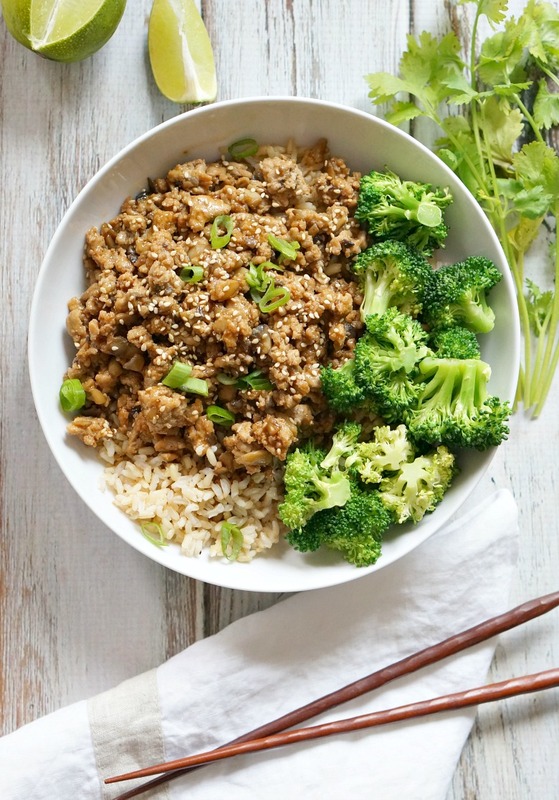 Serve the Turkey Teriyaki, along with the steamed broccoli on top of hot cooked rice or in lettuce cups. Garnish with sesame seeds, lime wedges and green onions if desired. 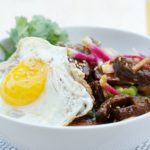 With just 15 minutes and six ingredients, these Turkey Teriyaki Bowls make the perfect dinner for hectic school nights. 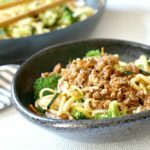 Serve this Turkey Terikyaki with rice and steamed broccoli or in lettuce cups for an even lighter meal option! All ingredients for this recipe, including Butterball ground turkey can be found at Walmart. 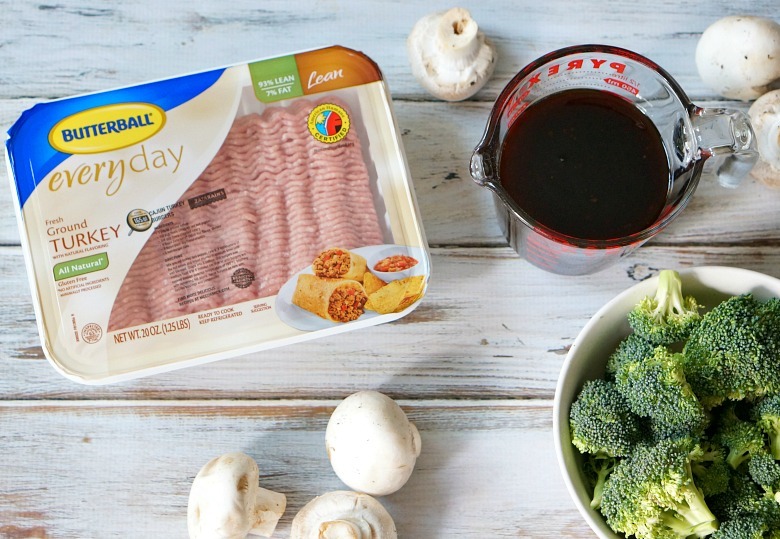 Click here for a coupon to save $1.00 on any ONE (1) package of Butterball® Ground Turkey. This offer expires on 10/31 or while supplies last. Check out more recipe inspiration for Butterball ground turkey here. Here are a few more favorite lighter dishes that my family enjoy. Check out Charred Corn Salad with Honey Lime Shrimp and this delicious Spicy California Roll Bowl! These look delicious and perfect for back to school season. I hear ya! If you make your own sauce, you’ll definitely lower the saltiness!